It's no secret that week day mornings are just a little hectic in our home, it takes everybody working together to get up, get dressed, eat breakfast and get out the door on time. Breakfast most mornings is a struggle, I wish I had time to prepare pancakes, eggs, etc, but reality is I don't, sometimes I don't even have time on the weekends for that. Breakfast for us needs to be healthy, but quick, easy and preferably not that messy. That's where Entenmann’s® Little Bites® Muffins come in, my children enjoy these any time of the day - they are a great on-the go snack and now will be joining our breakfast line up! I'm so excited to introduce NEW! Little Bites Cinnamon French Toast Muffins to my children! These are the newest addition to the Little Bites seasonal line and are available from now until May 2016. The Little Bites Cinnamon French Toast Muffins have a hint of cinnamon and are infused with maple syrup, making them perfect for breakfast! My children had no problem eating every last bite of these cute little scrumptious muffins, they pair perfectly with a glass of milk or grab a pouch to snack on later while your out and about! 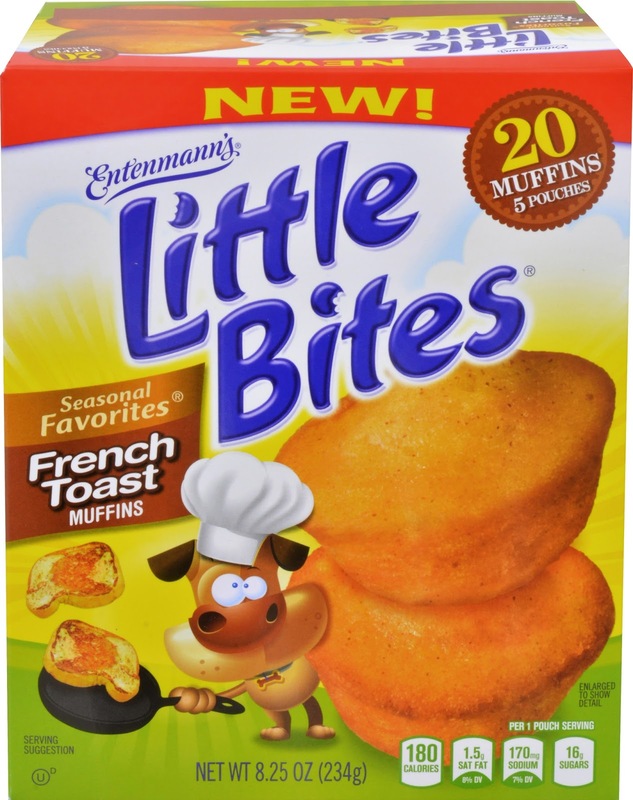 Entenmann’s® Little Bites® Muffins aren't just for kids either, before you know it parents, you'll find yourself enjoying a bag or two as well! 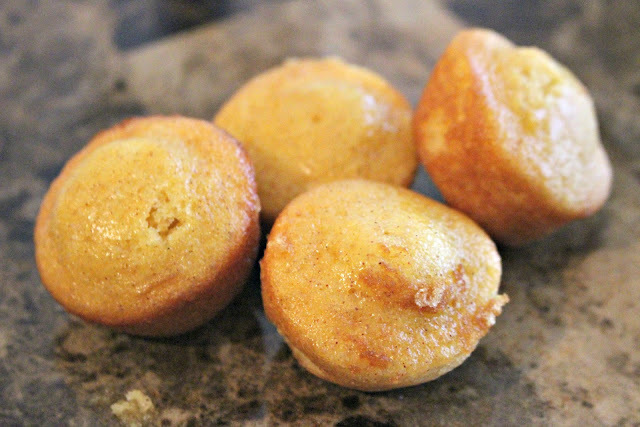 Did you know you can heat up Little Bites Cinnamon French Toast Muffins? Simply remove the Little Bites from the pouch and place them on a microwave-safe plate, cook for about 7 seconds on high and then let cool. Nobody will be able to resist the the warm, cinnamon french toast muffins - they are sure to please! 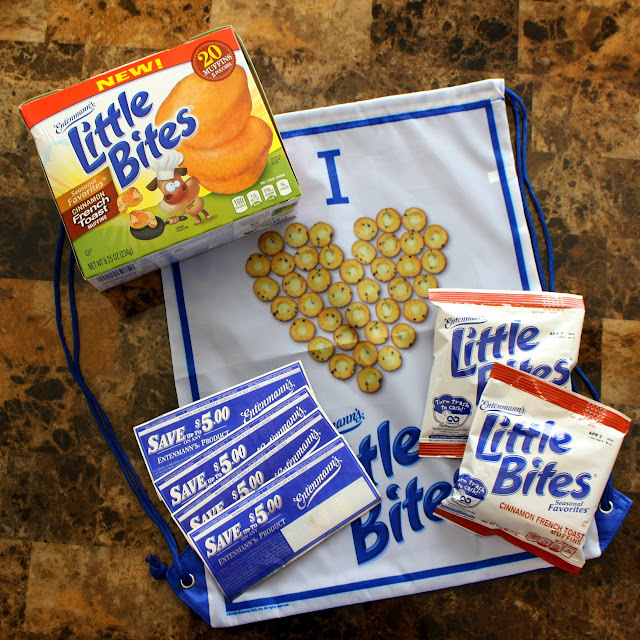 For over 15 years, Entenmann’s® Little Bites® has been making people smile with their pouches of baked snacks! Over 1 million Little Bites bite-sized baked snacks are consumed each year - that's a lot of yumminess! 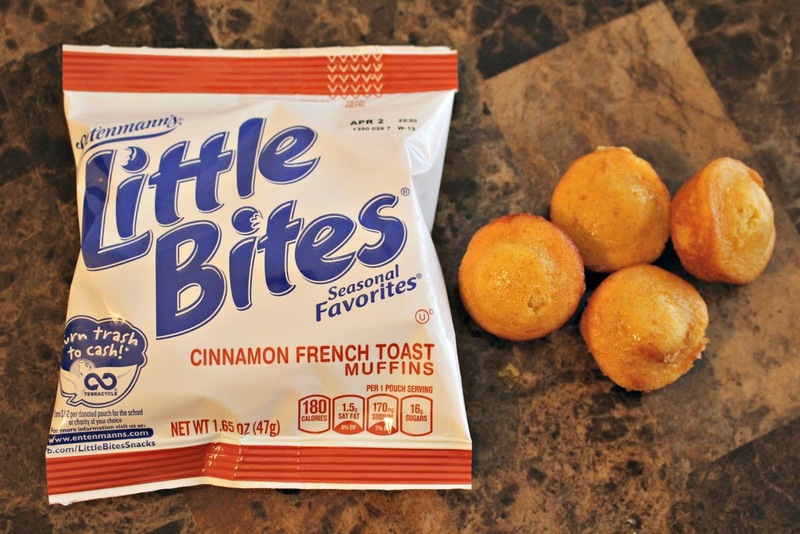 Little Bites are perfect for parents and kids, they are pre-portioned bite-sized baked muffins that contain 0g trans fat, no high fructose corn syrup, are certified Kosher and most Little Bites are 200 calories per pouch or less! So are you ready to try NEW! Little Bites Cinnamon French Toast Muffins?? 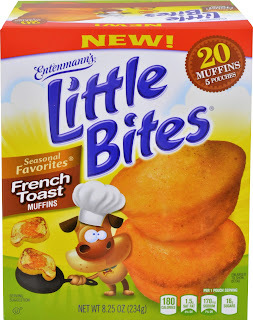 Well your in luck, I'm giving away a tasty prize package that includes: (1) I love Little Bites drawstring bag, (4) Little Bites coupons and (2) boxes of Little Bites French Toast Muffins! Total prize value is $40! I have not tried their little bites before, but I think my kids would love them, and I would love them on busy mornings! Thanks for hosting the giveaway! We have not tried these, but I am pretty sure the boys would like the chocolate chip. My daughter loves the blueberry little bites. I think she'd like these, too. We have tried and love the Little Bites Chocolate Chip! Our little one loves these! Yes My Family Loves Little Bites, We Would Enjoy The New Flavor! Yes we love the blueberry little bites and I think we would enjoy these too. We have had them and my kids would love the French Toast flavor! My kids like Little Bites. The new flavor sounds good!